I know I am irritating you with unnecessary text before announcing the winner of the cookbook giveaway hosted here. But, I hope you will read this before you scroll down. This was the first cookbook giveaway I hosted on this blog and it has been a great experience. Although, I didn't spend much time publicizing the giveaway (I know I should have dedicated a little more time to it), but I received a decent 59 valid entries for the same. I thank everyone who took their time and participated in the event. I went for a simple method to choose the winner. I prepared an excel sheet with all the entries. I numbered all the entries from 1 to 59. Then I prepared chits for those numbers and did the honor of choosing one. Does it sound primitive? Well, I am not really very proficient in the more sophisticated online tools and hence, I chose this only. Now that I am done with my chit chat, can I have the drum roll please! 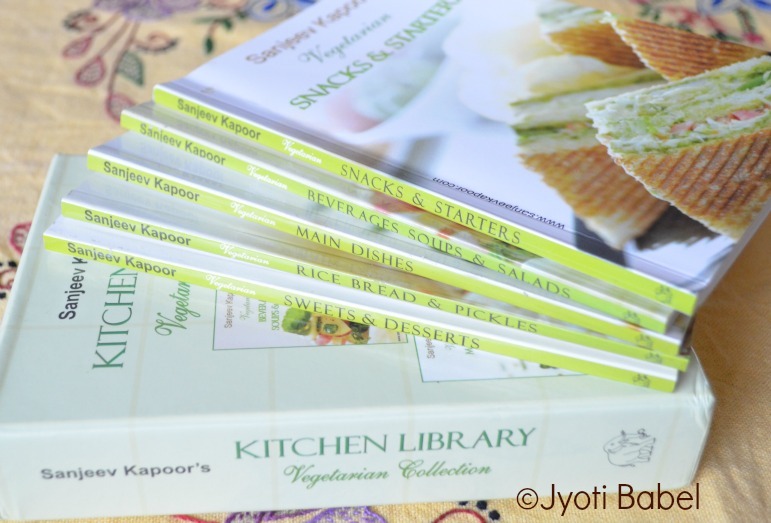 The winner of the Sanjeev Kapoor's Vegetarian Library Kitchen is....number '50' of the list. This number belongs to..
Priya Anandakumar of Yummy Foods. Congrats Priya on winning the giveaway.. I will mail you soon to get the Indian postal address where the cookbooks can be sent. Thank you everyone for participating. Stay tuned as I have some more events and giveaways in the pipeline. i have mailed you regarding the address. Do send it soon! Congrats once again! Congrats Priya Anandakumar!!!! That is one lovely collection of Books!! !